As I start a new training series to prepare for the Old Gabe 50k in June, I thought I'd begin with a trail I haven't visited in a long time: the Greyrock Trail in the Poudre Canyon. As I crossed the bridge across the Poudre River, I loved the patterns of ice. Andy Goldsworthy I am not, but I snapped a couple of photos, finding the ice so beautiful. 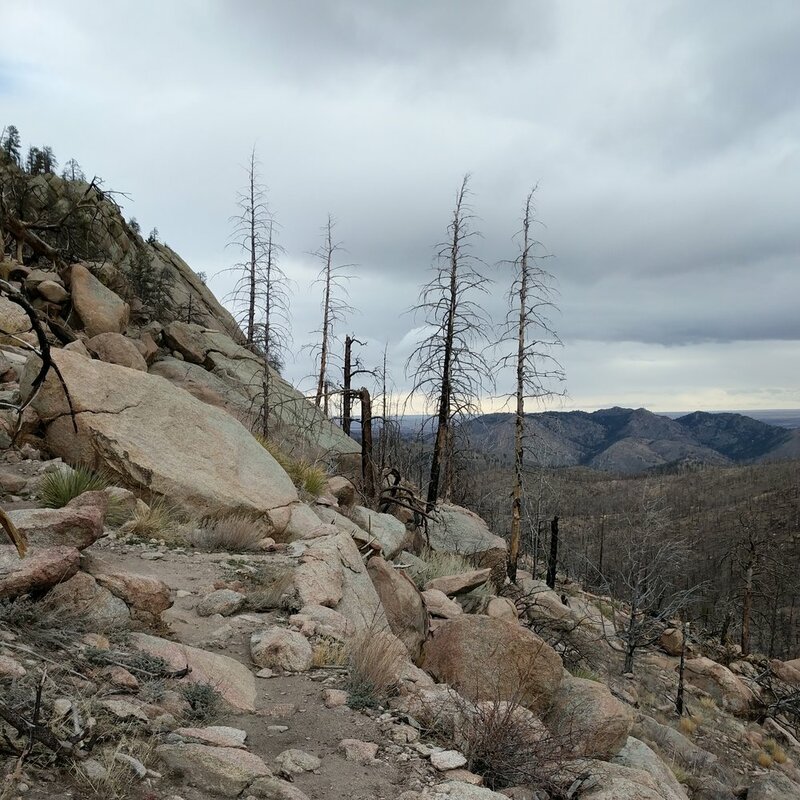 The High Park Fire burned much of the forest along this trail, leaving a lot of dead trees standing... and eventually, falling. A number of dead trees blocked the trail today, and I ended up turning around short of the summit, as the trees were really moving when the wind picked up toward the top. Didn't want to lose a limb to a falling trunk! It was disappointing not to make it all the way to the top, but all the same, good to be out on the trail at all, and to get a solid amount of climbing in over just a couple of hours. Happy running, friends, and see you on the trail!